2016 - 2017 - New Year, New formation! Sept. 12. 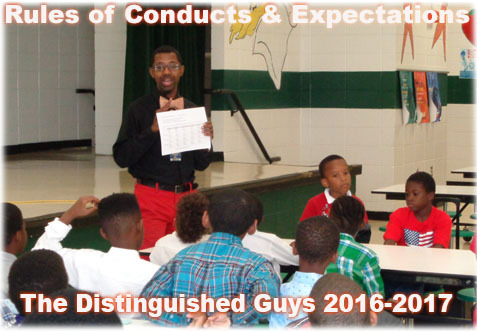 2016 - The supervisor Mr. Warthen talkes over the Rules and Expectations. Continued to be supported by the Community! The B.C. Distinguished Guys in Ties enjoy Pizza treat from Mr. Green - a retired military Sergeant First Class.